It's time to play at a whole new level. And I invite each of you to join me. It’s time for me to share the lessons I've learned about how to Succeed On Purpose, with the millions of people searching for both meaning AND success. 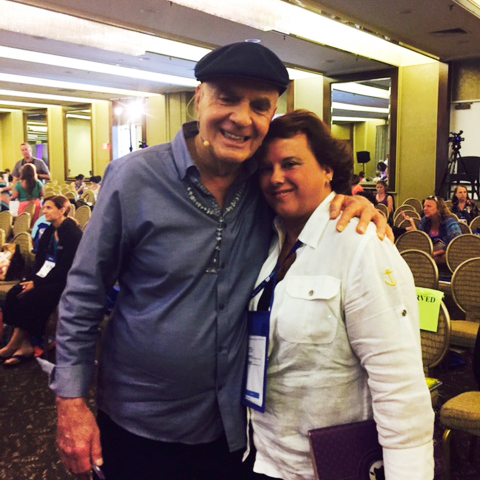 Terri and Wayne have just returned from the Writing From Your Soul Workshop in beautiful Maui, training under Wayne Dyer and Reid Tracy, the CEO of Hay House. My goal for attending this experience was simple: it’s time to play at a whole new level. And I invite each of you to join me. I risked everything for this dream of Succeed On Purpose and the Share On Purpose portfolio of companies that were born out of that meaningful process. I’ve made more mistakes than I can count, and yet the dream lived on, in spite of missteps. It’s like this purpose had a life of its own, and God used each mistake as a course correction to show me a better way. Now, it’s time to share those lessons with the millions of people searching for both meaning AND success. Although the whole process would have been easier if I had simply slowed down and been patient, my business mind was too eager, and my ego too sure that I knew the way, rather than simply letting the path unfold in God’s way. As only God can do…the tools that came out of those mistakes are now tools that can show anyone how to make the transition from doing what you know, to doing what you love. These tools and methods will now frame my next book: Meaningful Money: How to Get Paid to Do What You Love. It is a practical guide filled with “how to” get on the path to creating a business or career that is meaningful and purposeful, as well as financially successful. The faith in our mission is stronger than ever. And the path is now crystal clear. The book will be available January 2016. Because you are a member of our community, I will release pieces of chapters each week, allowing you, our faithful community, to experience, comment and help us shape this manuscript. Many of you have been part of our community since we started in 2010. Some have just learned about our mission. Regardless of how long you’ve been on the path, I want your input. Will you join me on this journey? If so, make sure you are subscribed to our blog here. Please comment and share your insights as I share pieces of each chapter with you. If you like a chapter section, share it with people you know. Together, we can build a powerful book that can change the lives of millions.